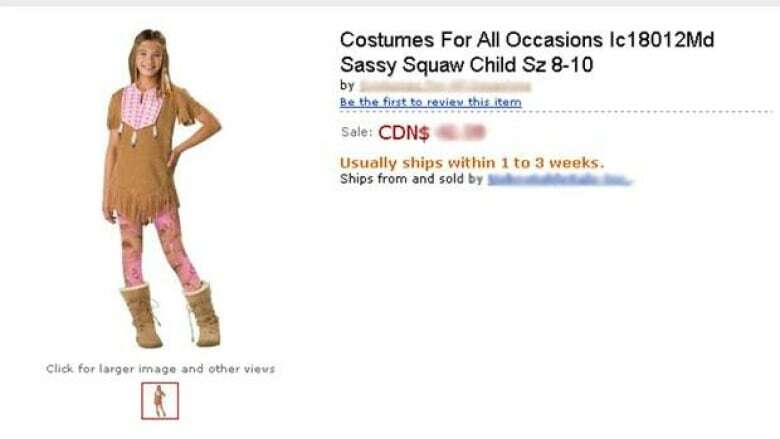 A U.S. company is pulling a children's Halloween costume it called "Sassy Squaw" after CBC North made inquiries about its name. 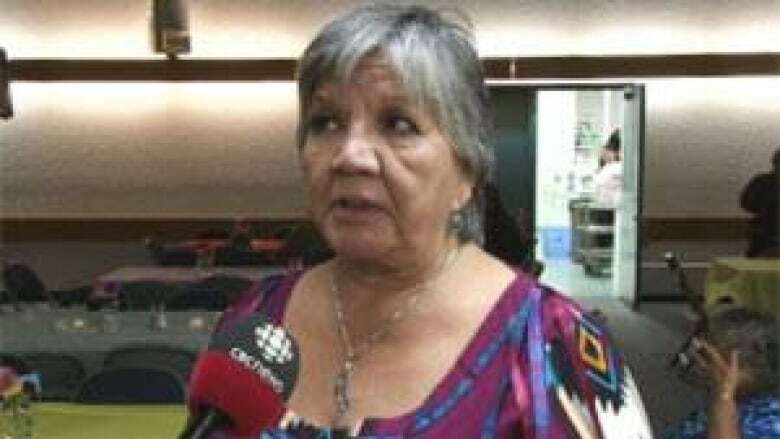 Yellowknife resident Gail Cyr said with ongoing campaigns to try and reduce the high numbers of missing and murdered aboriginal women, "This kind of stuff does not help." "It gives a primitive view of what aboriginal girls and women are all about," she said. "There’s a lot of change to try and get away from the basic standard stereotype which we have been subjected to all this time, and this stereotype is actually dangerous now because it's affecting our aboriginal women and girls." The origin of the word "squaw" has been debated for years but it's widely believed that it stems from different Algonquian words used to describe a woman. "Oh my God, are you serious?" said Kathy Paul Drover when she saw the costume. "It should be pulled immediately." Drover said not even the costume itself was acceptable because it was too short. "Our people would never dress like that." A spokesperson for Incharacter said Sassy Squaw was meant to be trendy and cute and they had no idea the term "squaw" was offensive, adding that it was an honest mistake. "We have admitted our error and issued apologies to anyone and everyone who has contacted us," the company said in an email statement. "We pulled the style off our website, and we are discontinuing this style for future production. In addition, we are taking action to contact any retailers who may still have this product on their shelves to request that they remove the packaging with the name from their stores."